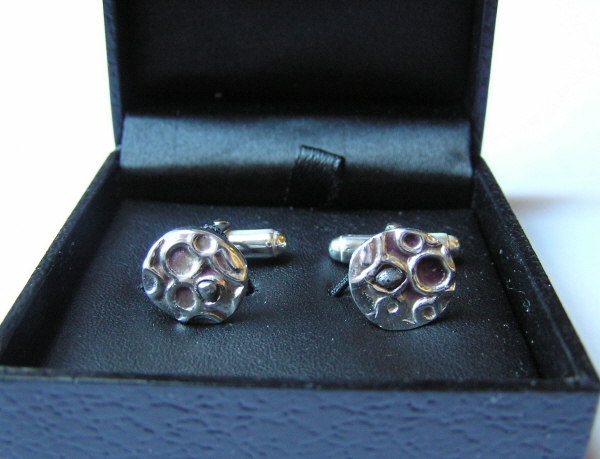 This is a gorgeous set of individually made solid silver cufflinks set with genuine Campo Del Cielo iron meteorite fragments. 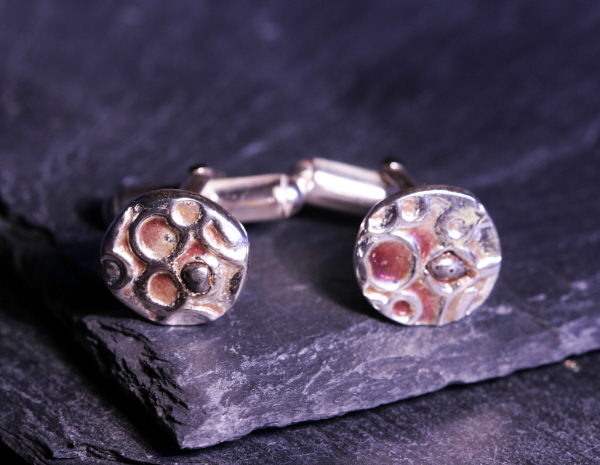 These links are inspired by the cratered rugged surface of a distant planet. Several of the craters have been filled with coloured glass enamel and there is an iron meteorite fragment set into each link.